We’re not sure any vehicle class has ever grown quite as quickly as the subcompact crossover segment has been increasing in popularity over the past several years since its introduction. Vehicles like the Buick Encore and Nissan Juke helped pioneer the segment, and since then a majority of manufacturers have leapt at the chance to get in on this increasingly-popular vehicle class. 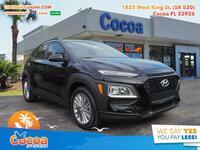 One of the most recent additions to the segment will be available here sometime within the next several months, known as the 2018 Hyundai Kona in Cocoa FL. 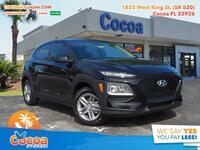 Much like the other members of the subcompact crossover segment, the Kona promises not only to be a stylish little vehicle, but to offer the perfect combination of sedan capabilities and crossover utility. To give you a better idea of what’s in store when the Kona releases, we figured we’d dive into some of the specifics. 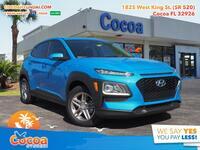 Interested in a 2018 Hyundai Kona? There are pretty much two specs that people are interested in when researching a crossover like this: power and capacity. The Kona has multiple engine options to choose from, offering 120, 149 or 177 horsepower depending on the option you choose. As for capacities, specifics haven’t yet been released, but Hyundai promises that Kona will deliver best-in-class interior space. As for features, the two big aspects people are most interested in are safety and connectivity. 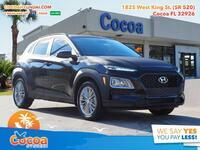 The Kona will come equipped with either a 5”, 7” or 8” display audio screen depending on trim level, and they’ll come equipped with plenty of great connectivity features like Android Auto and Apple CarPlay. When it comes to safety, every manufacturer is putting their best foot forward to try to keep the roads safe. Kona will offer some pretty class-leading features and advanced technologies to stay competitive in this market, delivering an even greater sense of confidence behind the wheel. Technologies include Forward Collision-Avoidance Assist, Lane Keeping Assist, High Beam Assist, Driver Attention Warning, Blind-Spot Collision Warning, Rear Cross-Traffic Collision Warning and many others. If you think you’ll be interested in one of these brand-new subcompact crossovers when they become available later this year or early next, be sure to fill out a form on this page for updates or give us a call at the sales desk. We look forward to hearing from you!